When I was pregnant, one of the most overwhelming things for me was trying to wrap my head around all the STUFF we needed to prepare for a baby. I spent the first six months of my pregnancy traveling with nothing but a school-sized backpack and had really grown to love such a minimalist approach to possessions. Creating a baby registry for me was a labor of balance: I wanted to be prepared with the things I needed to care for my daughter, but I didn't want to get things that would never be used or were superfluous. 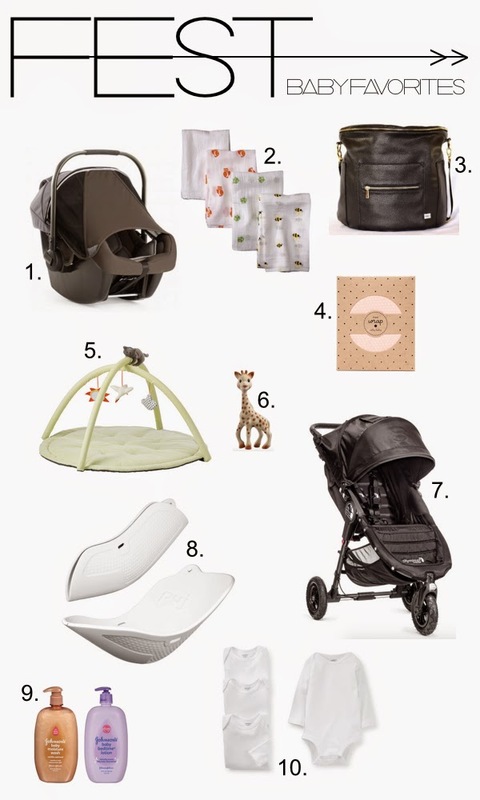 Now that Petra is born and I have a few months of mommyhood under my belt, I'd like to share a few baby items that I really love and would recommend to anyone having a baby. These are the things that make me oh-so-very-happy anytime I use them. I hope this helps someone out there and to anyone preparing to have a baby, get ready to have your heart burst out of your chest over and over and over.